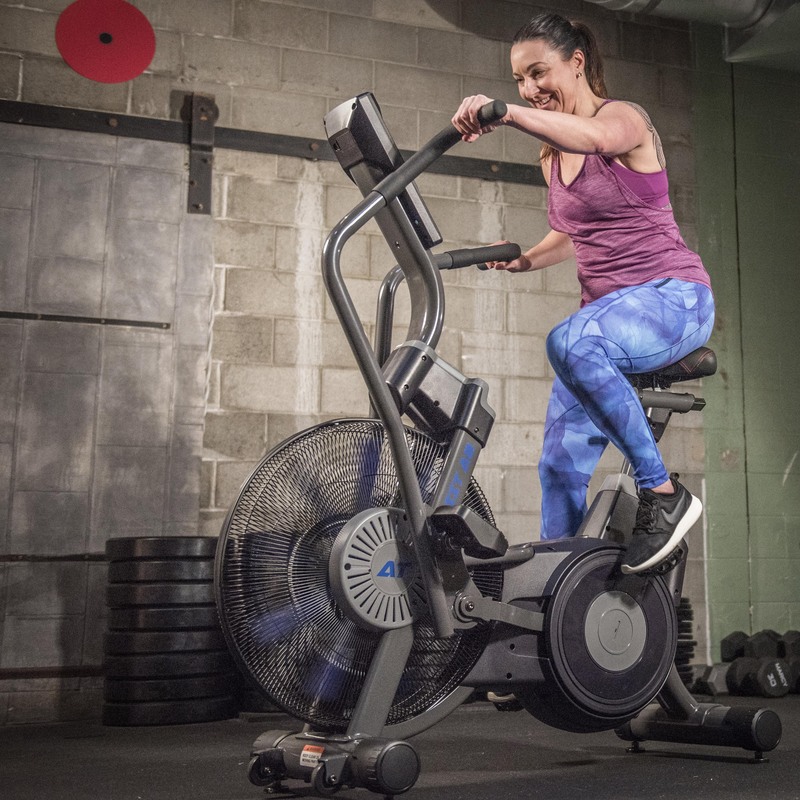 The AirTEK HIIT Air Bike is built tough so that nothing can hold you back! 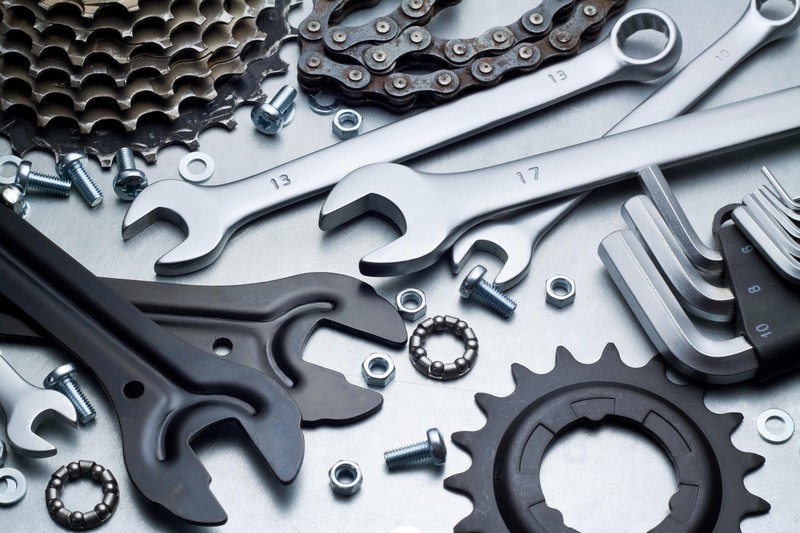 AirTEK uses reliable and durable components including an automotive belt drive, double powder coated finish, 20 high performance sealed bearings, and 3mm thick reinforced steel frame. 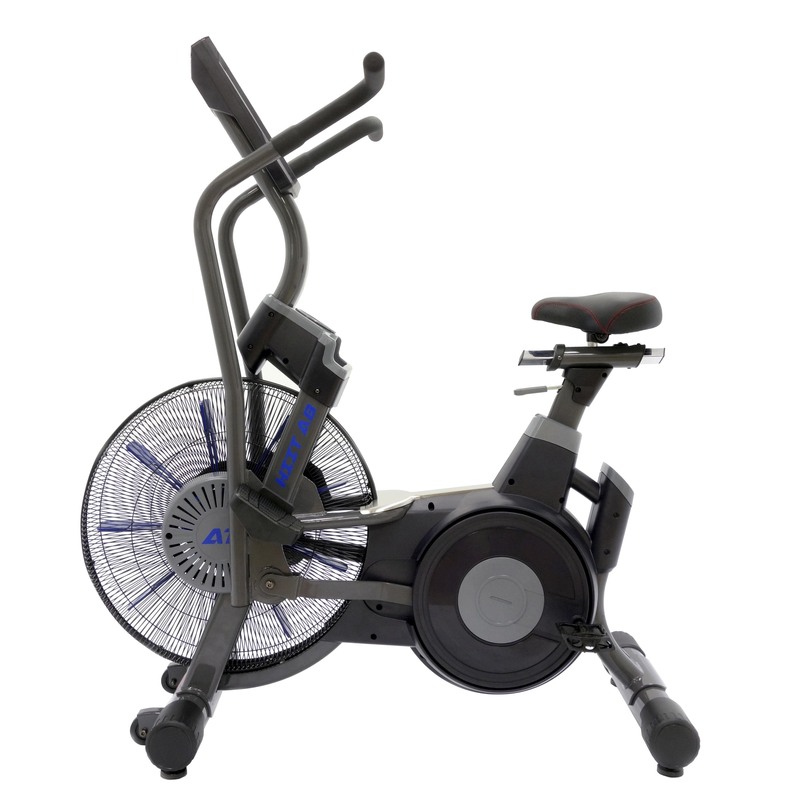 Weighing in at 157 lbs the AirTEK HIIT Air Bike can accommodate up to 350lb users. 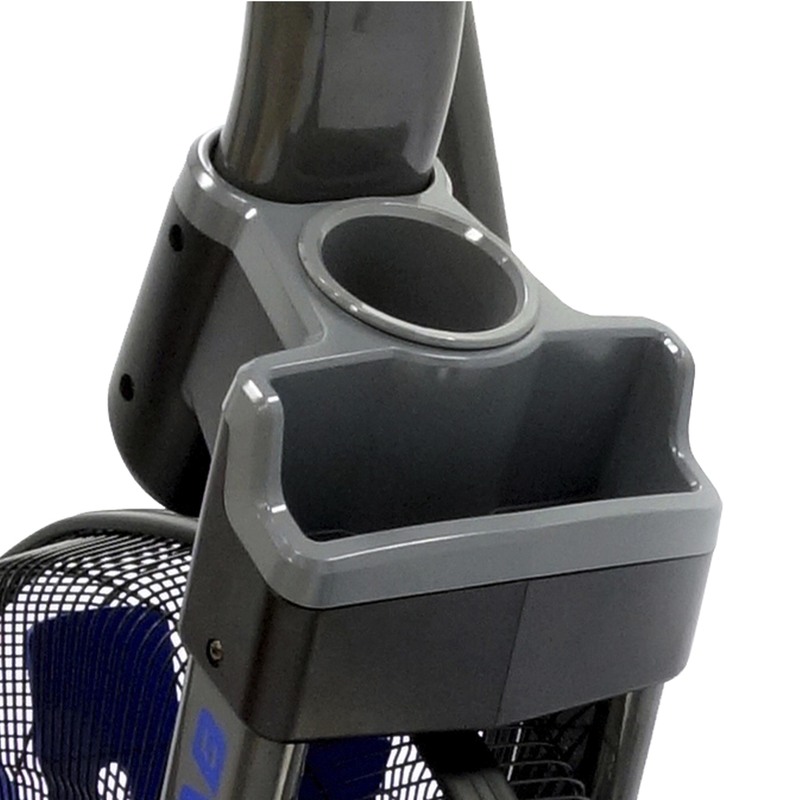 The innovative Aero-Fan with steel fan blades and a single stage belt drive allows for a smooth, low-impact progression towards unlimited wind resistance. 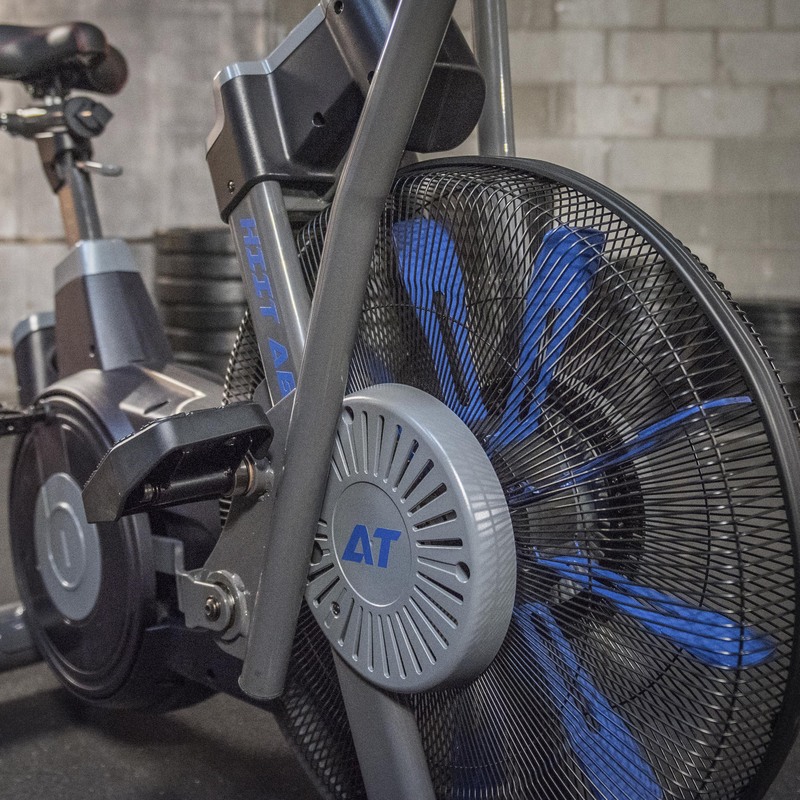 The aerodynamic steel fan blades act as a weighted flywheel that facilitates quick transitions from rest to sprint during High Intensity Interval Training. 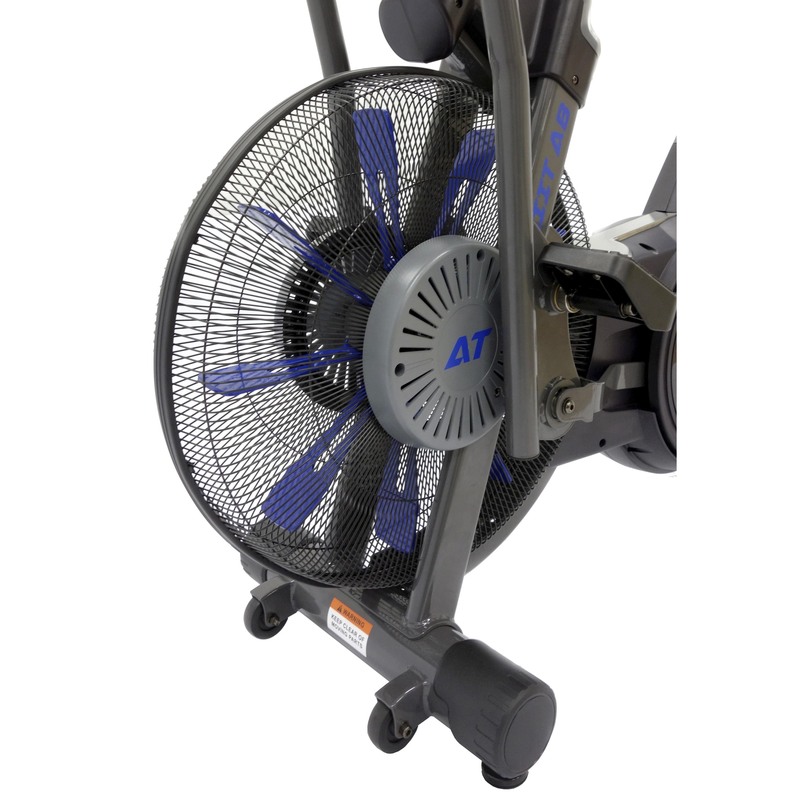 Whether at home or in the gym the AirTek Aero-Fan will keep you in command of your workout! 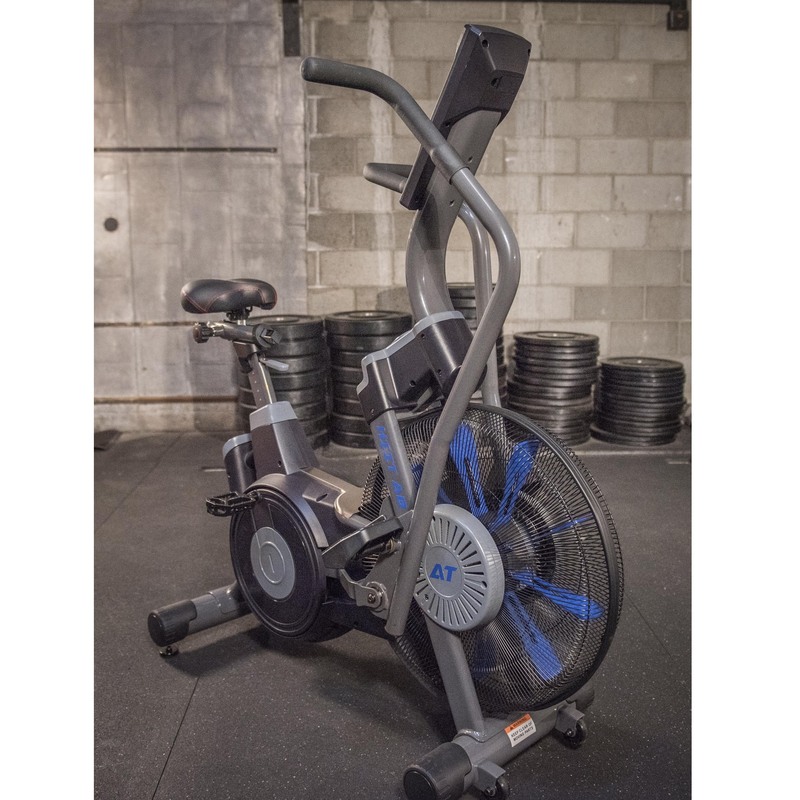 The AirTEK HIIT Air Bike's cockpit style display is easy to use and puts your workout at your fingertips. 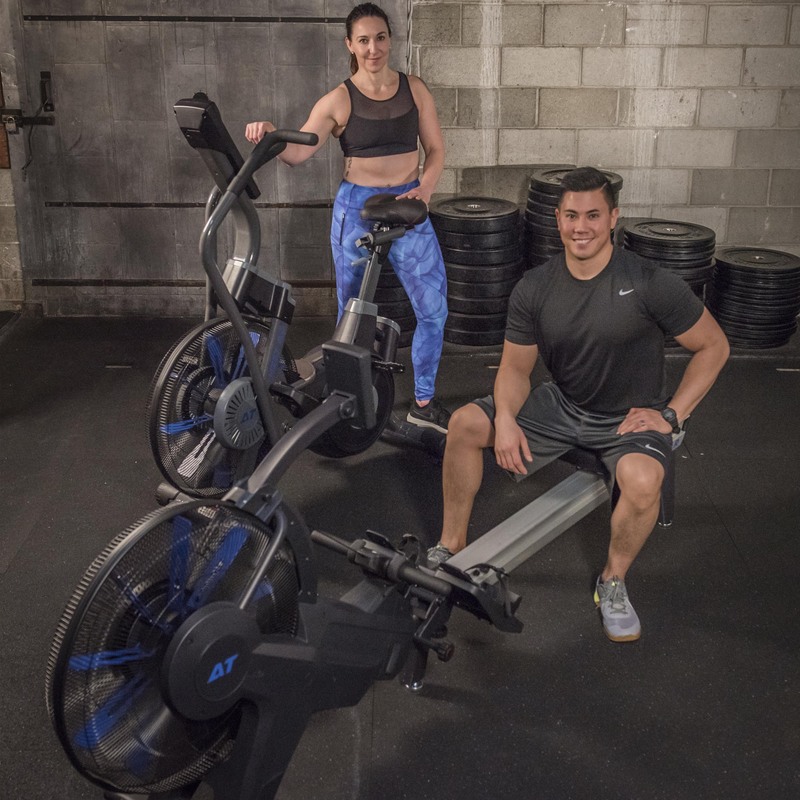 Whether you are using high intensity interval training athle gym or setting personal goals at home, the 12 built-in programs were specially selected by professional fitness coaches and athletes to maximize your workout. 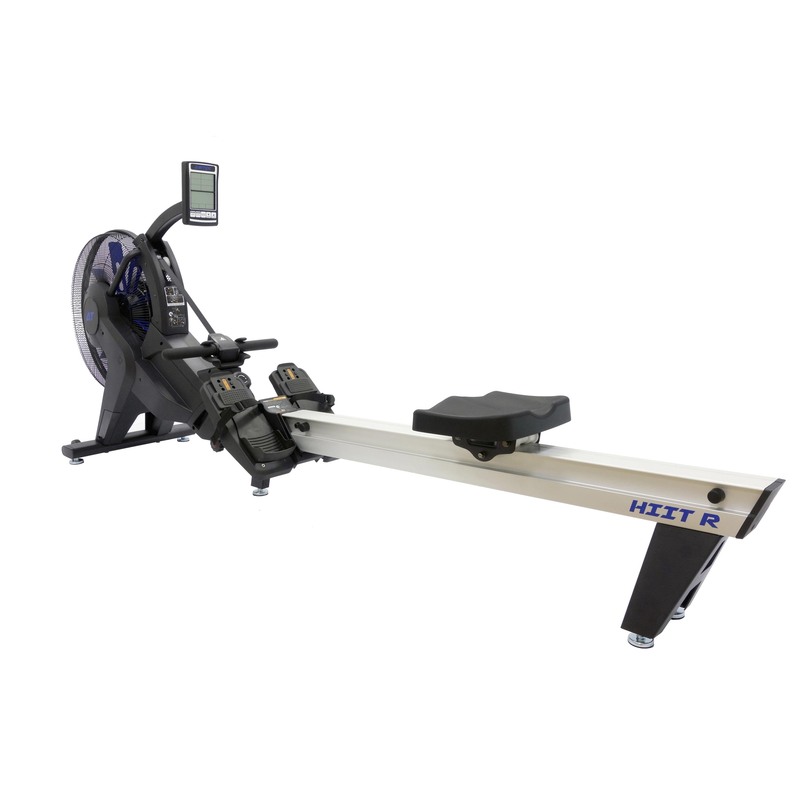 Visually motivate yourself by monitoring RPM, Speed, WATTS, Calories, Time, Distance and Heart Rate all at the same time. 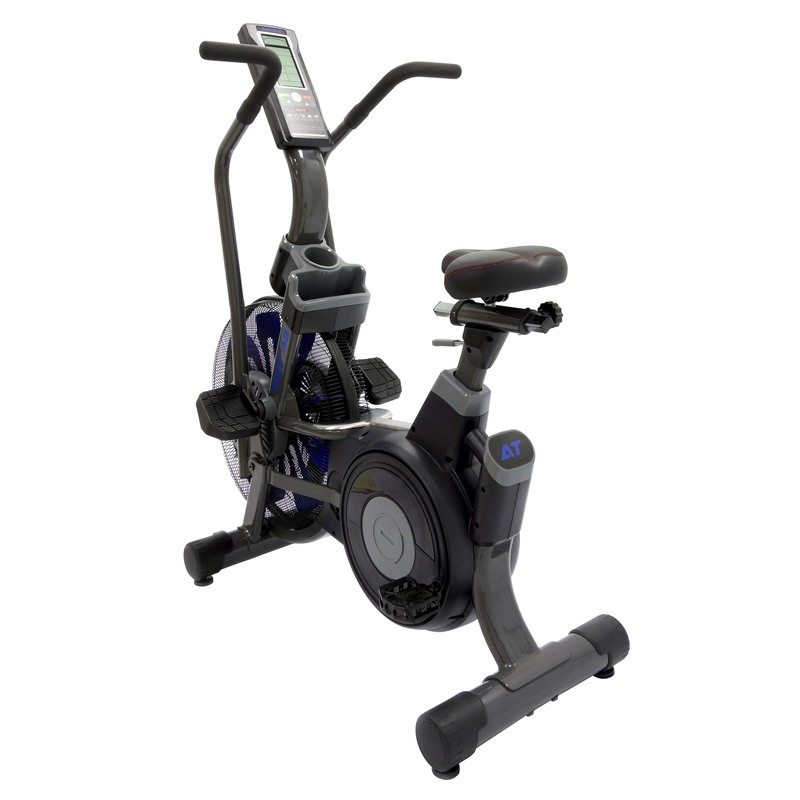 The RPM tachometer clearly indicates your intensity to help you burn more calories! 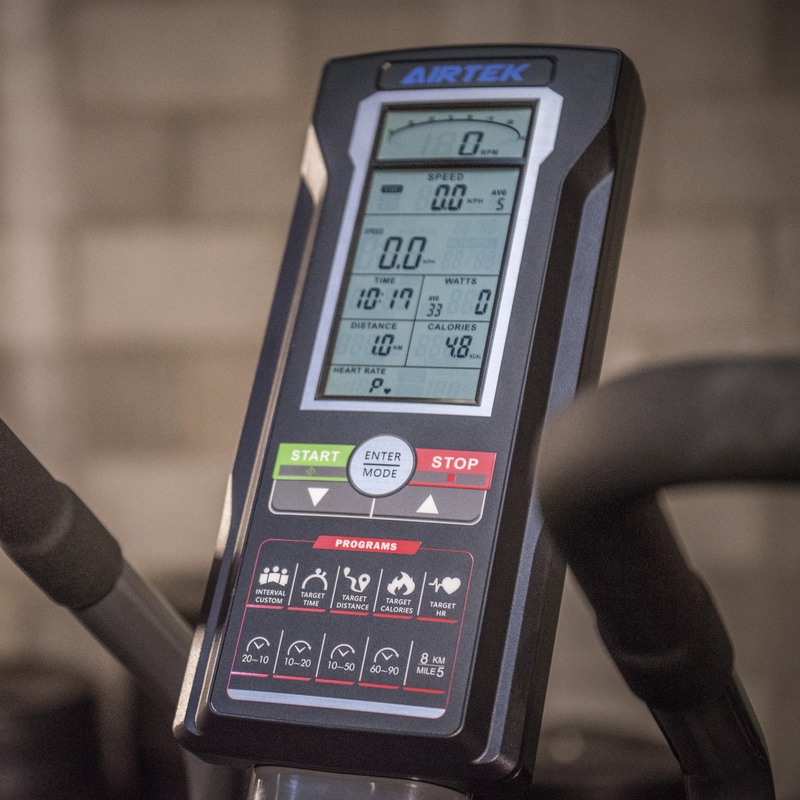 Keep an eye on the intensity of your workout with the AirTEK RPM Tachometer. 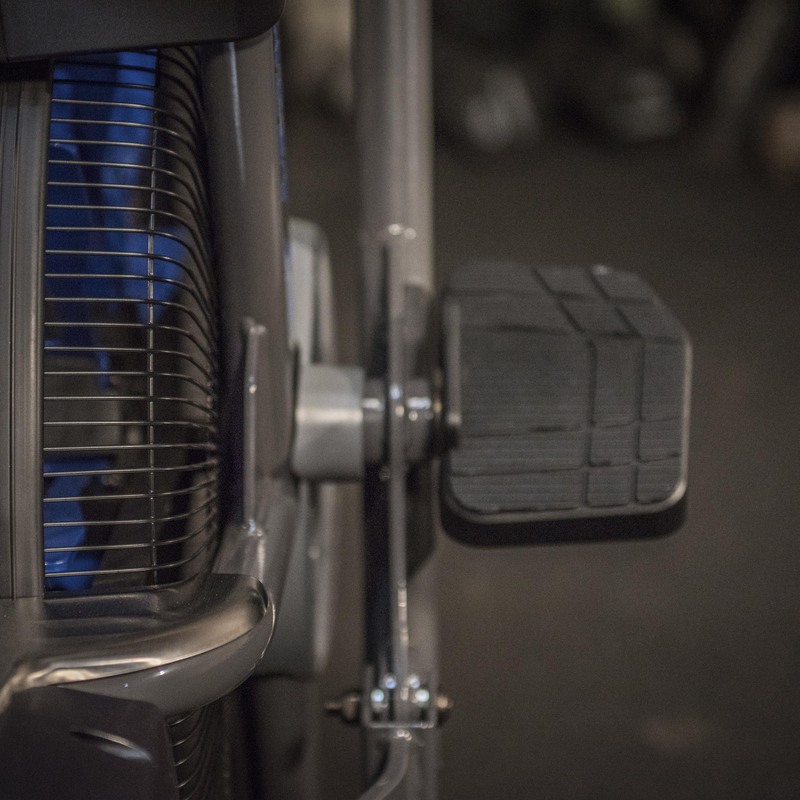 The faster you pedal the more power (WATTS) you generate. 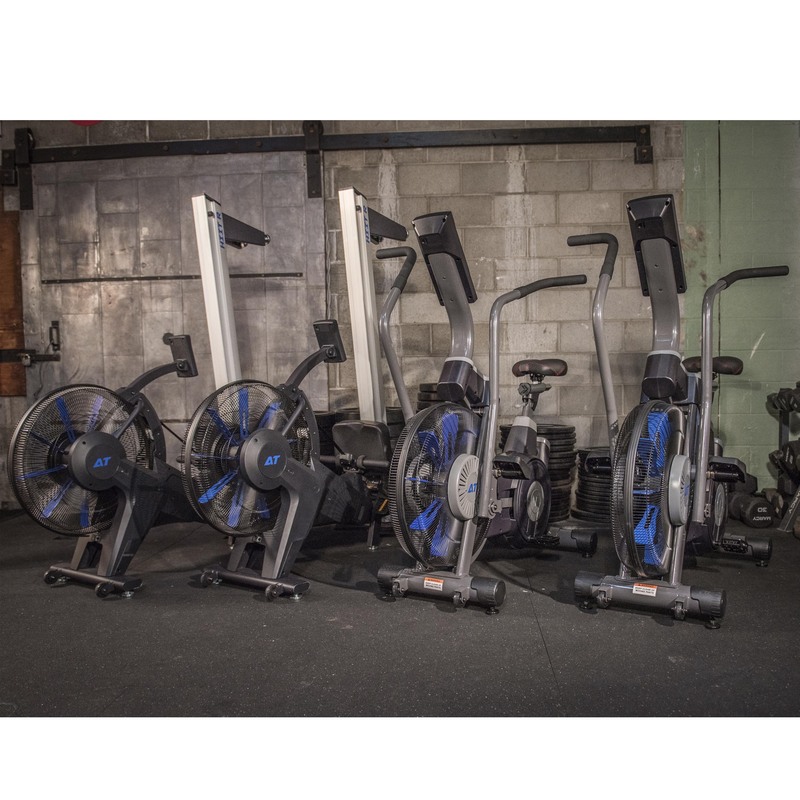 The AirTEK RPM Tachometer shows you actual and average RPM to keep your workout on track. 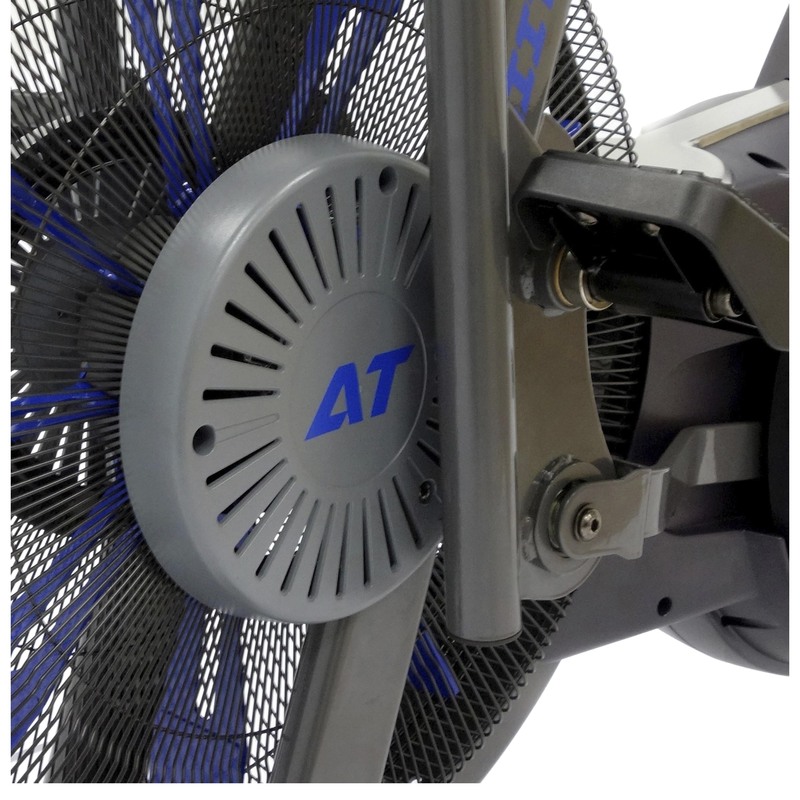 AirTek's Aero-Fan and single stage poly drive effectively compresses air resistance to ensure that the energy you exert is accurately displayed as actual and average WATTS. Keeping your eye on the prize is easy with the visually motivating calorie counter and RPM Tachometer. 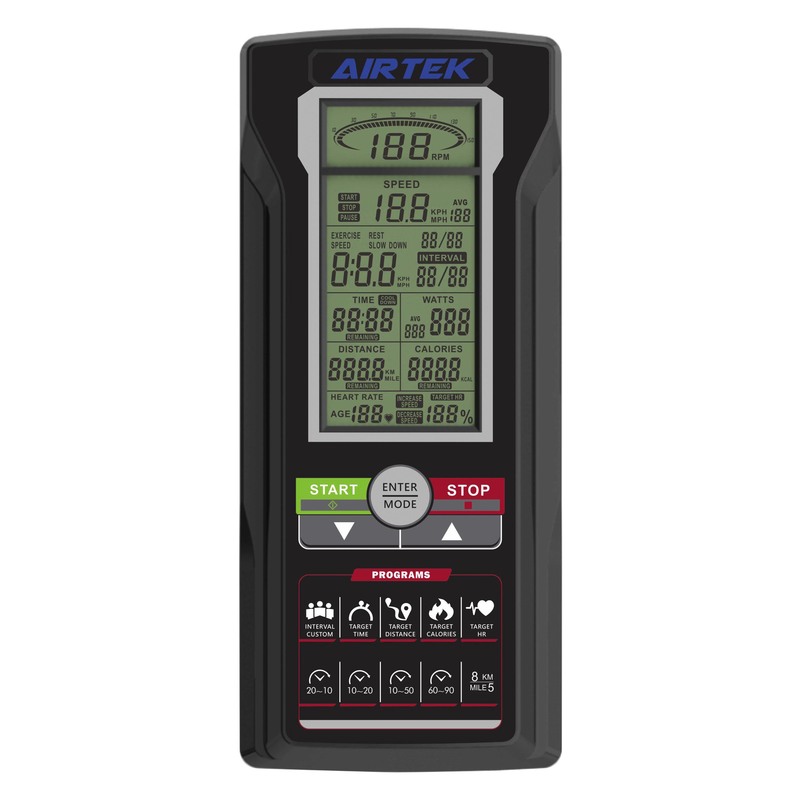 The AirTEK display is equipped with a built-in reciever that allows you to monitor your heart rate. 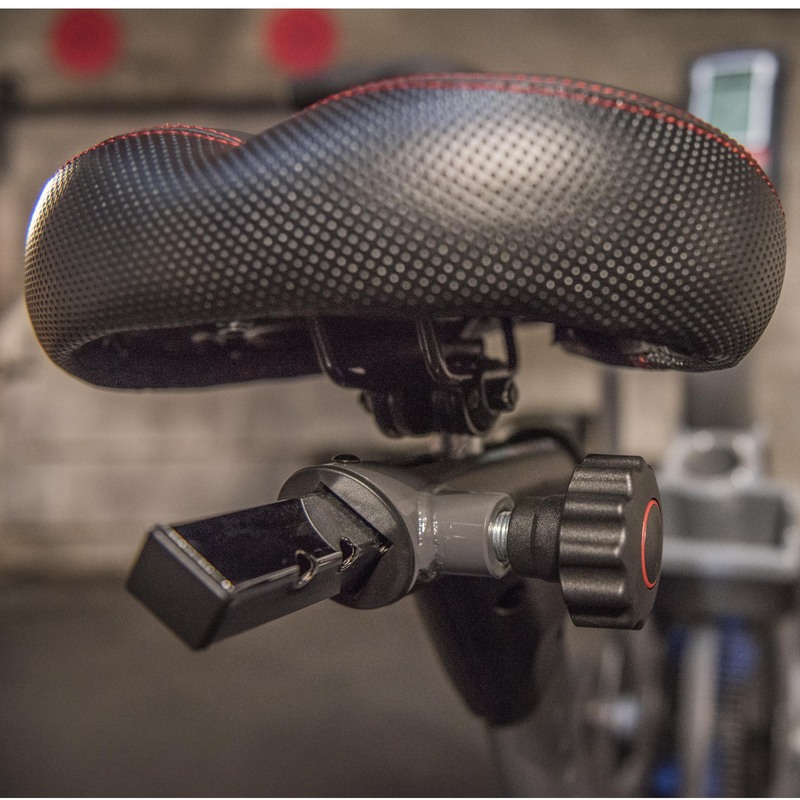 Conveniently store your water bottle, phone and other items for easy access during breaks or leisurely rides. 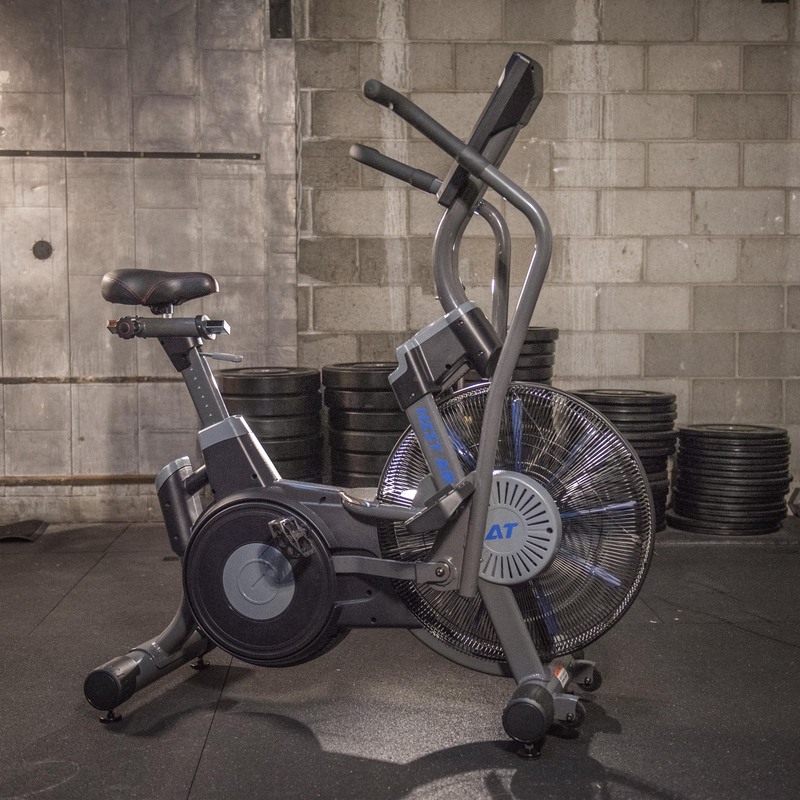 Find your perfect fit to maximize your workout! 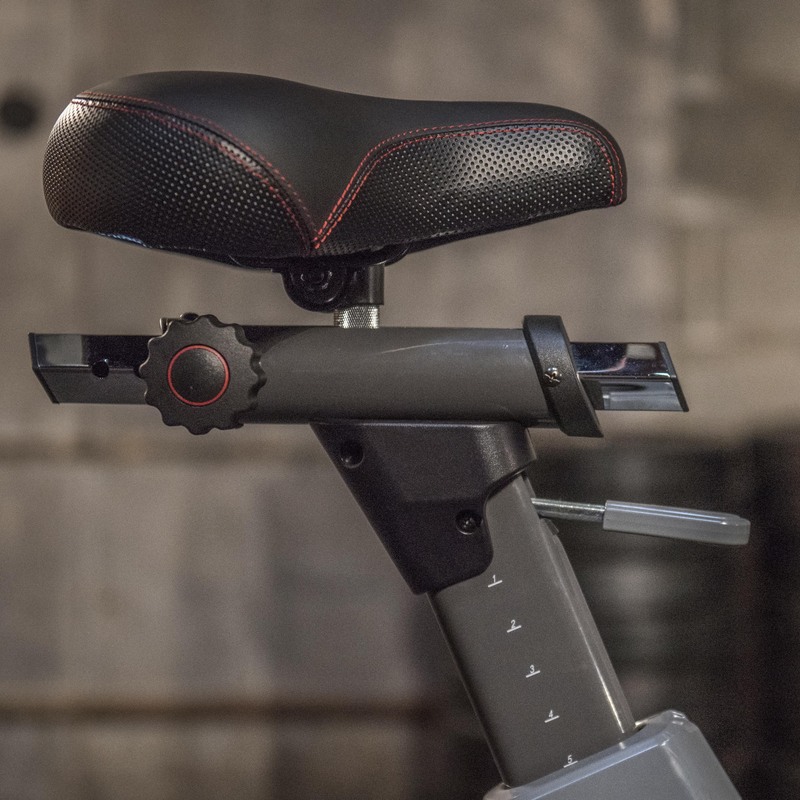 Air Tek's Direct Force 3 point reinforced crank and single stage poly belt drive instantaneously respond to changes in intensity ensuring the most efficient transfer of energy. No Waste, More Gain. 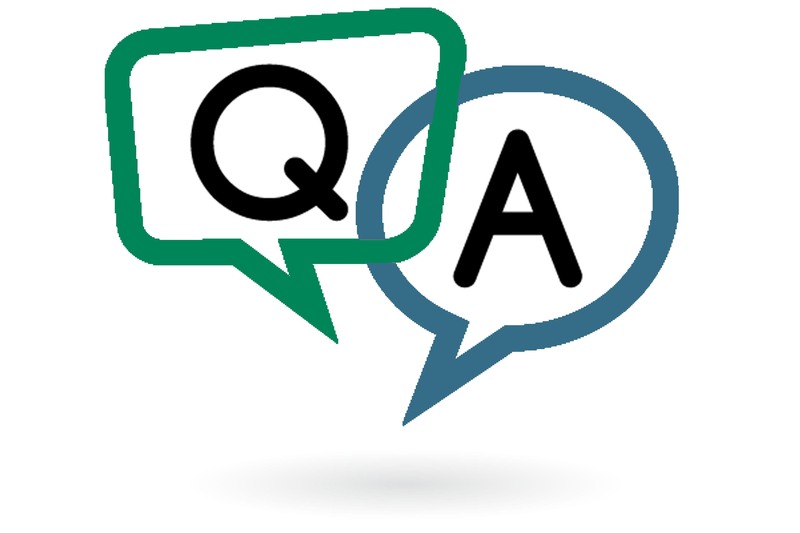 What Air Bike is best for your needs? 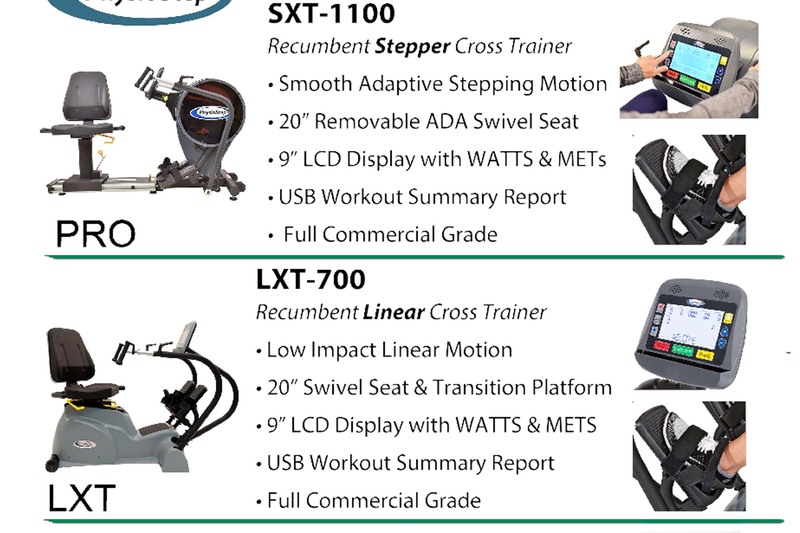 Compare the AirTEK HIIT AirBike to the Assault™ AirBike, the Schwinn Airdyne AD Pro and the Xebex Air Bike.